Among the hatchbacks you see here, the Volkswagen Polo is among the hottest you can get today. It's a European favourite. In India, it even gets a powerful turbocharged petrol or diesel motor. Volkswagen couldn't give us the GT TSI or the GT TDI for this test, but a friend of ours didn't mind lending us his GT TSI. We are big fans of this little Volkswagen and were sure that the car would be quicker around the track by quite a margin over the other petrols. Sadly, it didn't turn out that way. The TSI motor revs quick and the twin-clutch transmission shifts rapidly too. 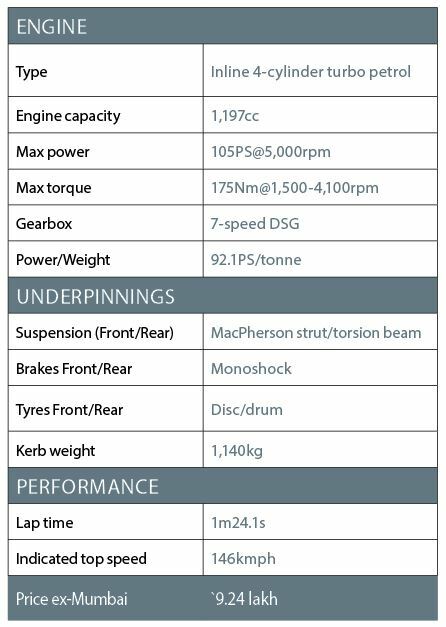 The car is 10-15kmph faster down the straight when compared to the naturally aspirated petrols. However, before entering a corner, the transmission refuses to give you those important downshifts. This is a big downer especially when one has to drastically slow down on the main straight before entering C1. Aditya also mentioned that only after multiple downward shifts on the gear selector, it finally dropped a gear. The traction control system cannot be turned off completely either. We say this, as it was a bit intrusive even after deactivating the system. While it rides well on Indian roads, the fact that the car has been made softer for our market also makes it bumpy over the many undulating sections at Kari. There's more body roll than expected, but it isn't unstable at any point. The steering is quite direct and gets heavier as you load it too. It is the best unit when it comes to overall feel. 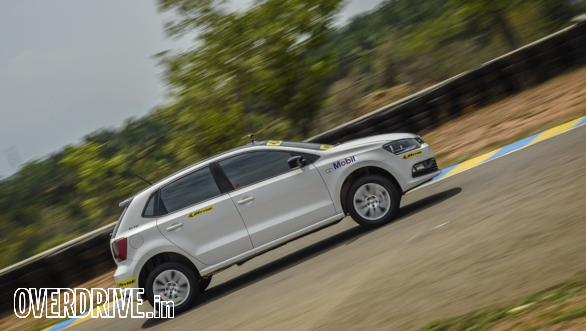 Aditya, however, felt that it could have been a little more responsive on corner entry. It's a pity that the GT TSI, despite being a entertaining car to drive on public roads, is only three tenths of a second quicker than the Baleno petrol on the racetrack. 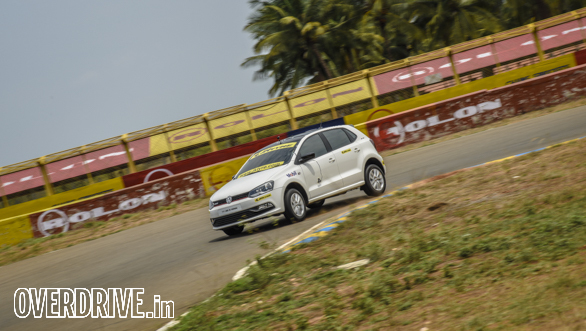 Bertrand D'souza: An entirely predictable hatchback, the Polo is precise around a racetrack. Quick steering and throttle response - it's got it all except for an transmission that refuses to downshift when needed. If the GTI ever makes it to India, it would be awesome. In the interim period though the GT TSI is just a lukewarm appetiser! Rishaad Mody: What proves to be an engaging and enjoyable road car just wasn't up for it on the racetrack. The gearbox shifts up quickly and smoothly but doesn't want to give you those hard downshifts on corner entry. The 1.2-turbo petrol has a punchy mid-range and would have probably fared much better with a manual here. Ultimately, the soft chassis has high levels of grip but also rolls quite a bit. This isn't a problem but it doesn't feel very sporty either.